A crypto exchange with wallet solution (not web-based) that will support all expected operations for all major cryptocurrencies and tokens. The Idea Is Simple: To build an easy, intuitive, feature-rich and fully-functional cryptocurrency wallet. 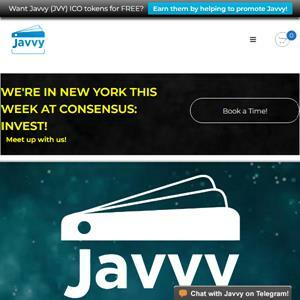 The Javvy team has the specialized expertise and experience required to build the ideal crypto wallet for everyone. Provides Convenient Buy and Sell Options Inside the Wallet. Simplifies the experience of crypto exchanges; Complies with financial regulations across all regions; Verification process tailored for ease-of-use; Citizens of over 170 countries will enjoy instant identity verification; The rest will wait only 1-3 days; Removes the security risk of web-based exchanges; Eliminates the reliance on peer-to-peer exchanges and their users.